If you’re a self-employed electrician, plumber, landscaper, or general contractor, or you own any other type of field service business, it’s likely that managing your finances takes a back seat to other responsibilities. For many self-employed individuals without a financial background, it can be hard to keep track of the necessary accounting requirements. Fear not. Follow these tips to help you avoid common field service accounting errors. Cost overruns that occur from estimating errors can turn your finances upside down. When this occurs, it typically results in less profit for the field service business, or worse, a loss. There are a variety of errors that can lead to overruns: Items can be accidentally left out of the estimate, the estimator can wrongly assume that certain materials or services are covered by subcontractors, the estimate can simply be too low based on the amount of labor and materials required to complete the job, etc. To help ensure more accurate estimating, many field service businesses use estimating software. Service Fusion has a feature that allows you to estimate projects using a sophisticated level of criteria to help ensure accuracy. Field service jobs are not office jobs. That’s one of the main reasons trade professionals choose their line of work. As a result, you’re likely not in the shop most days keeping a close eye on paperwork. Invoices can easily get misplaced and become disorganized. To avoid a potentially costly issue, it’s always good to have a plan in place to keep your billing in line. Cloud accounting software allows you to move all billing and invoicing onto the cloud. By doing so, you will eliminate a lot of paperwork, be able to invoice electronically, and can access your finances from the road. As a field service independent contractor, you’re responsible for making quarterly estimated tax payments based on your income. Depending on what state you’re in, you also may be responsible for collecting and paying sales tax on each job. It’s not uncommon for busy trades to forget to apply sales tax to a job. And keeping track of your income and expenses to make accurate estimated tax payments is never fun. Cloud accounting software can help you here with online invoicing that automatically applies sales tax to each invoice. Accounting software also makes keeping track of income and expenses simple. Cloud accounting software is also an excellent tool for managing your sales tax process. You’ll be able to set sales tax rates and define taxable sales items so you can track your liability and quickly prepare on-time sales tax returns. Most jurisdictions require that returns be filed and liabilities be paid on a monthly basis. Filing is a relatively simple process; however, it’s always a good idea to consult with your accountant regarding tax issues. Field service businesses incur a multitude of costs not typically associated with office jobs. Plumbers, electricians, landscapers, and the like need to keep track of fuel costs, truck leases, equipment, materials, etc. Managing these costs against income is key to maintaining profitability. And maintaining positive cash flow is key to ensuring that you’ll have enough cash to cover materials for new jobs. Cloud accounting software can help you keep track of your expenses through one platform. It can also allow you to reconcile your accounts quickly. Doing so will help give you a snapshot of your available cash position. Cloud accounting software is highly recommended for managing accounting and financial tasks. Field service management software can help streamline other critical parts of the business, such as dispatching and routing and service scheduling. Check out mHelpDesk or Fleetmatics. Avoiding field service accounting errors isn’t always easy, particularly when you’re on the road for most of the day. Staying vigilant when managing your company’s finances, however, can help you avoid serious cash flow, tax, and billing issues. 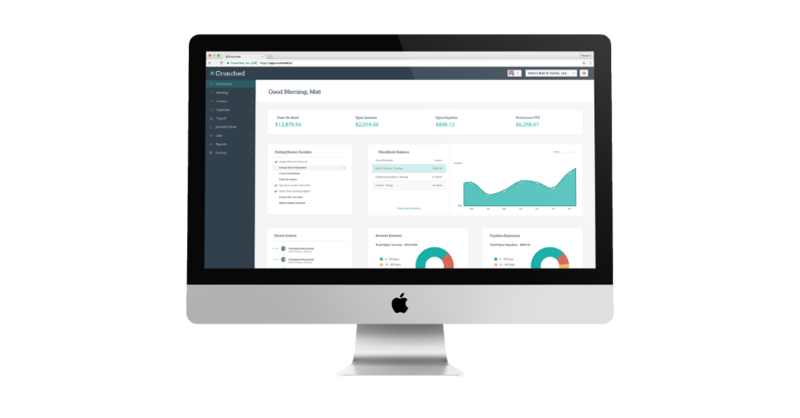 Investing in the right tools, such as cloud accounting software and field service management software, will help keep you on the right track and make the entire process a lot easier to manage.